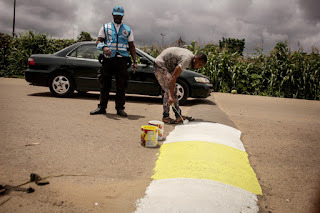 Home Celebrity Gists ABUJA COMEDIANS ENGAGE SOCIAL RESPONSIBILITY, CREATES ZEBRA CROSSING. 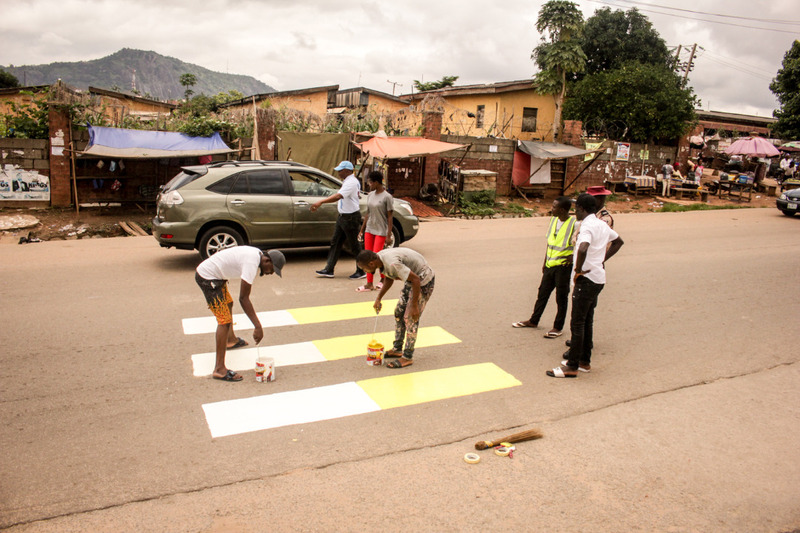 ABUJA COMEDIANS ENGAGE SOCIAL RESPONSIBILITY, CREATES ZEBRA CROSSING. 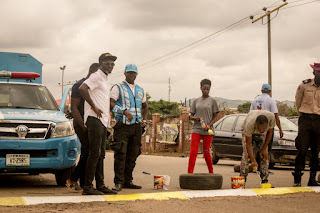 The popular Abuja based comedians, "Koboko Master" and "Ghana Must Go" has reacted to the frequent auto crash in the Kubwa axis by initiating a process that can cut down its occurrence. 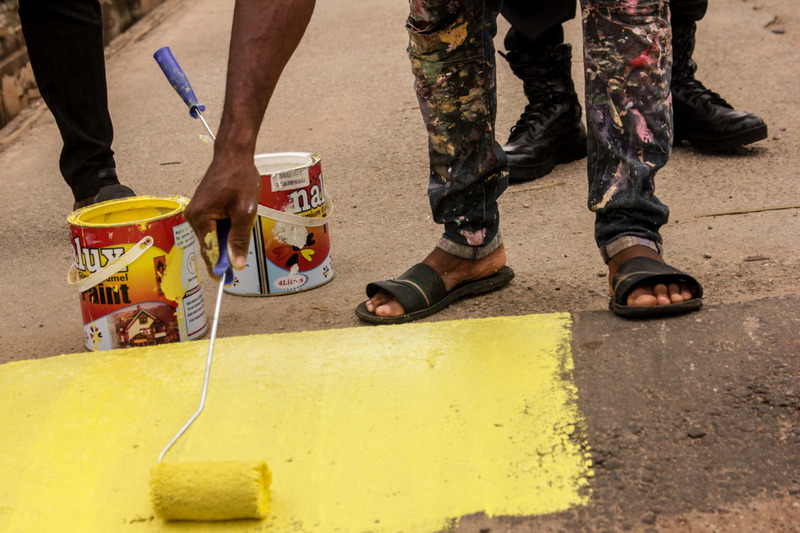 They both supported the situation by creating Zebra Crossing to improve pedestrian safety. This gesture of true nationalism by Peter Ogbudu, popularly known as "Ghana Must Go" and Badamossi Bernard known to be "Koboko Master", has been appreciated and applauded by residents of Kubwa, a satellite town in the FCT. 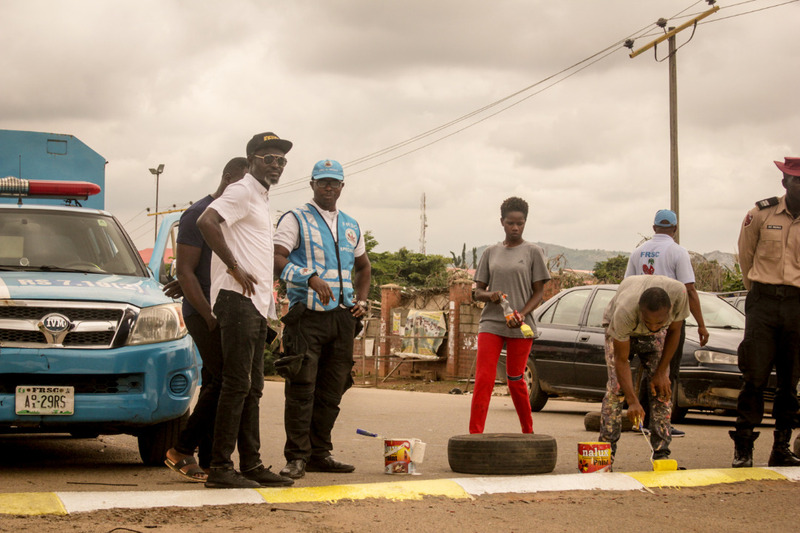 According to the Comedians, the gesture will go a long way to improve the safety of people living in that community, and also as a social responsibility, where we are privileged to give back to the society. The Zebra crossing was created at the front of Christ The King College, a location in Kubwa which is always crowded with moving vehicles and pedestrians. 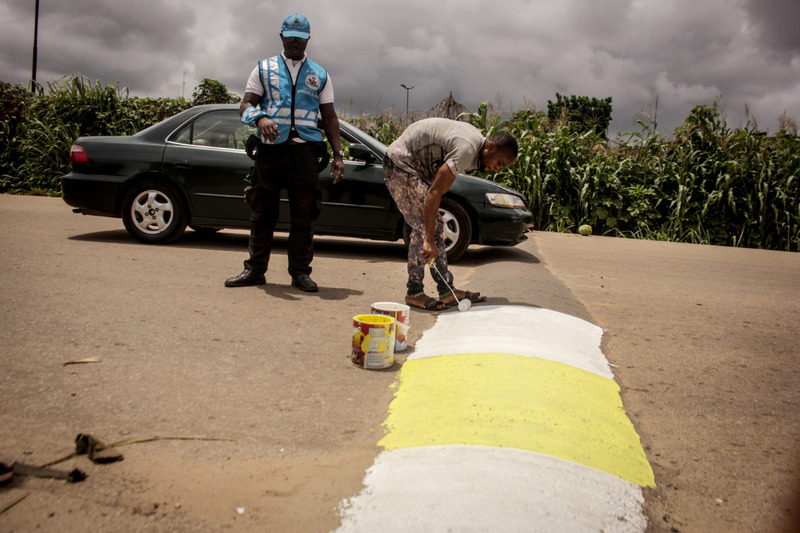 The comedians who are popularly knowned in FCT and other surrounding states have commended the appreciation and blessings they received from residents, stating that the gesture is well deserved for residents.